College is a life changing experience, and for many students, choosing the right school is an intense process. Today, prospective students and their parents turn to the web to research and evaluate their options. The Internet has changed higher education marketing, and colleges and universities looking to attract more qualified applicants should consider inbound marketing strategies. Designed to reach potential candidates where they’re looking online, inbound marketing increases the number of visitors to your website and helps you convert prospective students into applicants. Why do colleges and universities need inbound marketing? With more than 9,000 colleges and universities in the United States, it can be difficult to make your institution stand out in the crowd. Inbound marketing strategies position your school as an authority institution and help you communicate your unique selling proposition prospective students. Ultimately, this will help your institution convert more qualified website visitors into applicants. First, you’ll need to identify your target audience and build your inbound marketing strategy around activities designed to resonate with them. For example, are you trying to reach high school juniors and seniors? All high schoolers? Their parents? Setting clear goals from the start, will ensure the success of your inbound marketing strategies and help you effectively communicate with your intended audience. Let’s take a look at some inbound marketing strategies commonly used by higher education institutions. Search engine optimization is the process by which websites are optimized to rank higher in search engine results for targeted keywords or phrases. Not only is SEO more targeted than traditional marketing strategies, it also has a higher return-on-investment (ROI). Pay-per-click (PPC) advertising helps businesses gain exposure in search engines while they establish organic rankings with SEO. With PPC, you can select the keywords and phrases you want your advertisement to display for, and if your bid is the highest, your ad will display at the top of the search results. One of the major benefits of PPC is that results are instantaneous. When an ad is clicked to go live, it goes live. Using PPC ads, you can instantly send traffic to your website and increase the number of qualified leads. Considering the majority of your target market is active on social media, platforms like Facebook, Twitter, and Instagram are a great way to engage potential applicants. Social media also connects prospective students with answers they need. More and more students are using social media to ask questions and share feedback. Colleges can capitalize on this trend and use social media sites to respond to questions and listen in to the opinions of applicants and current students. Maintaining a responsive and helpful presence on social media makes students feel more comfortable and shows that schools are open to feedback. Given the volume of content potential applicants receive from colleges and universities, it’s important for your institution to stand out in the crowd. For higher education institutions, content marketing is all about telling a story. Your content marketing should convey a unique selling proposition. In other words, use your content to emphasize what makes your institution unique and why students should choose your school. Does your school have special traditions? Do you offer exciting study abroad opportunities? Did you just open a state of the art athletic facility? 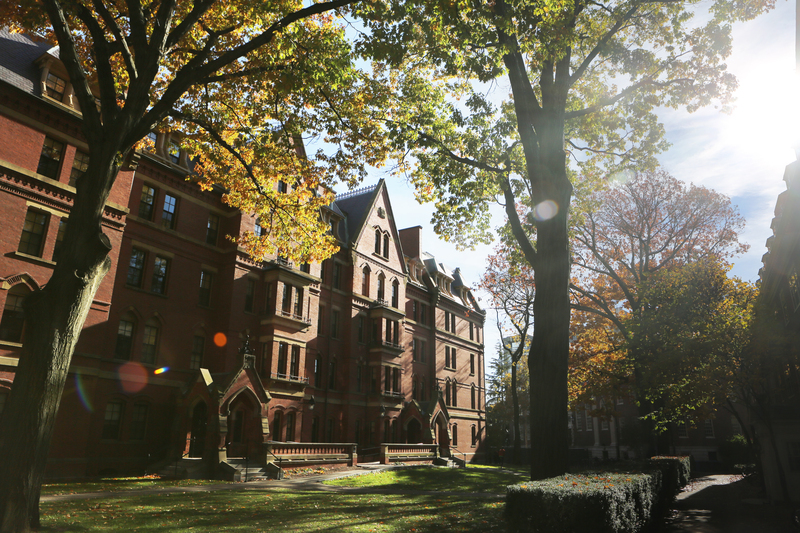 Tell prospective students your story, and highlight what makes your school a great option. Your content should also provide value to potential applicants and their families. Whether you’re creating a tweet, a YouTube video, or blog post, consider how you can say something useful that will provide readers with peace of mind or advice. This will make a great impression on potential students and help them feel confident in their decision to attend your school. How does inbound marketing benefit higher education? Inbound marketing allows colleges and universities to directly reach both current and prospective students. In addition, inbound marketing allows you to connect with your target audience where they’re already searching online. Unlike outbound marketing strategies that often interrupt potential applicants, inbound marketing strategies are generally sought out by potential students. Inbound marketing allows you to engage with prospective students online and build relationships that convert qualified site visitors into applicants. As the demand for higher education continues to rise, you need to ensure that your institution stands out from the competition. Start using inbound marketing strategies today to reach more candidates online, boost enrollment, and generate more revenue for your school. Want to learn more about inbound marketing for higher education? Contact us today to find out more about our full service inbound marketing plans. We’d love to work with you!